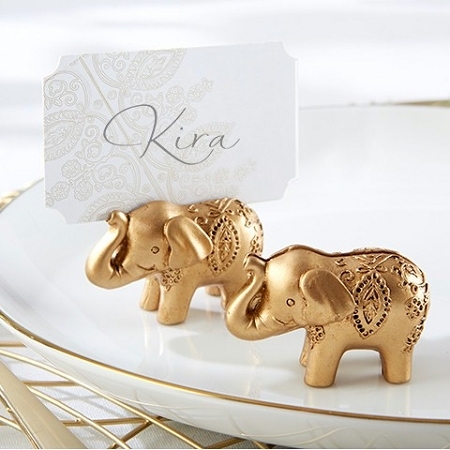 How lucky your friends and family will feel when they see our Lucky Golden Elephant Place Card Holders at your beautiful jewel tone wedding or Indian bridal shower! 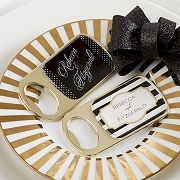 Just imagine how lovely these golden place card holders will look on your guest tables. 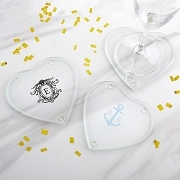 Even better, your loved ones can take these elephant wedding favors home to serve as a keepsake memento of your special day. 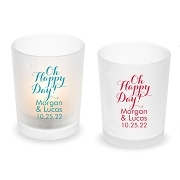 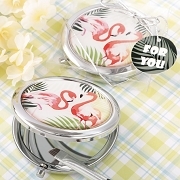 Love the itam,very cute , Pleased that they came with cards a few slits on top where the card goes not deep enough..